The official date for the 2019 Youth Rally for the Planet has been changed and is now Wednesday, May 1st. 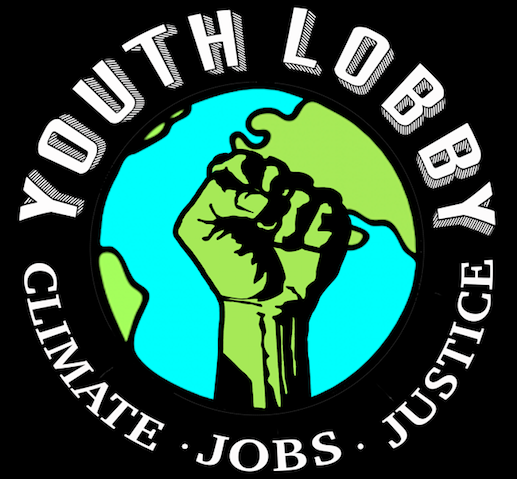 Please join the Vermont Youth Lobby on Wednesday, May 1st from 9am – 1:30pm as we rally for CLIMATE, JOBS, AND JUSTICE! The main goal this year is to let lawmakers know we want Vermont to take a much stronger leadership role in the global fight against climate change! We’ve been asking our lawmakers for bold action to address climate change for several years now and are growing increasingly frustrated by their general inaction. We applaud the many legislators who have tried to make climate action a priority, but the pace of change taking place in Montpelier is not nearly fast enough to meet the challenges we are confronted with, as highlighted in the most recent IPCC report that gives humanity 10-12 years to make dramatic cuts in greenhouse gas emissions if we are to avoid some of the most serious and irreversible impacts of global warming. We will also be thanking the legislature for their efforts to pass bills that would reduce single-use plastics and for the successful passage of the recent Ethnic Studies Bill. Come join us at the rally to learn more about this legislation, chat with your local lawmakers, and visit some of the many booths that will be showcasing youth activism from around the state. We are working to bring some big-name keynote speakers that are sure to inspire. Once you register, you will be placed on our mailing list to receive more detailed information about the event. You may register right up to the date of the event. There are no costs associated with the event, and funds may be available to help with transportation costs. Please contact youthlobbyvt@gmail.com if you have any questions or concerns about the event. NOTE: We are trying to get teacher chaperones to register each school, but it would also be great if individual students could sign up using the same form below. Thanks! ← Save The Date – Please Join Us at the 4th Annual Rally for the Planet!